JBalducci's quail necklace is worn by designer CindaB on the cover and inside! JBalducci jewerly is selected by and sold on Bravo's Tim Gunn's Guide to Style "essentials"
JBalducci's long six stone Evasione necklace is chosen for a blog on birds. JBalducci Jewelry is listed as one of "Lady Licorice's Favorite Online Jewelry Stores"
profiled in their designer section! JBalducci and her wood earrings from the JB line are pictured in The Washington Post. JBalducci sample sale is mentioned in the weekly lowdown. JBalducci's Vintage Reborn Line is featured not once, but TWICE in The Ritz-Carlton Magazine! JBalducci's new collection Rock 'n' Honey is pictured in the "What's Hot What's Cool" Section. JBalducci's new collection Rock 'n' Honey is pictured in the "Now Style" Section. Jenifer Balducci is interviewed as an industry expert in the Trends 2005 article. 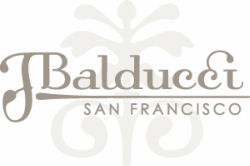 JBalducci Jewelry is chosen for the "Holiday Gift Guide"
JBalducci Jewelry and its donations of sales to the Asian Tsunami relief was mentioned on She Finds.